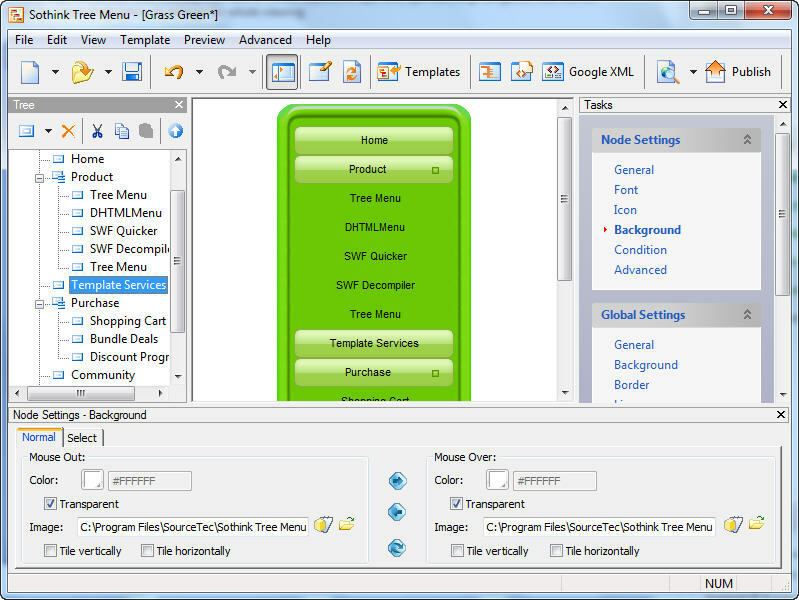 • Woks with HTML editors to create tree menu directly in web editors. • Generates special code to make search engine friendly to tree menu. • Google XML Sitemap and generate sitemap based on menu structure. • Records what nodes were expanded/collapsed. • Fully customizable properties, like font, icon, button, etc. • Selects images for arrow and line from rich resources. Edit the selected images freely. • Configures arrow image of the node that includes sub tree menus. • Offers 50+ templates and image library of 200+ items. • Provides the various dynamic effects for showing/hiding sub-node. * Update the Digital Signature.